Scotland’s Paul di Resta will graduate to a full-time Formula One drive with Force India this season, replacing Tonio Liuzzi at the Silverstone-based team. After sealing the DTM championship in 2010 rumours had increasingly suggested the di Resta – who worked as Force India’s third driver last season – would be promoted to a race seat in 2011. 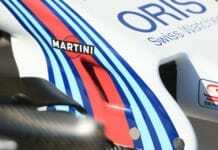 He joins German Adrian Sutil, who remains at the team for a fifth straight season. 24-year-old di Resta won the prestigious F3 Euro Series title in 2006, defeating Sebastian Vettel after a season-long battle for the championship. He then signed with Mercedes to race in the DTM touring car series, finishing as runner-up in 2008 and third in 2009 before taking a well-deserved title in 2010. 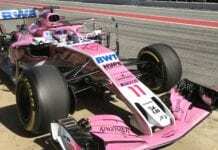 He continues to enjoy strong links with Mercedes, who supply Force India’s engines, with the German marque known to be keen to eventually run di Resta in their factory F1 team. Liuzzi meanwhile departs the team he joined as test driver in 2008. He was promoted to a race drive when Giancarlo Fisichella left for Ferrari in late 2009 and retained his drive for 2010. But, despite flashes of potential, the Italian was largely disappointing, frequently dropping out of qualifying during the first session and becoming involved in several accidents. His F1 future is now uncertain. Force India have also confirmed that Williams refugee Nico Hulkenberg has joined them for 2011, filling the third driver position left vacant by di Resta’s promotion. The German was keen to remain a race driver this season but with his options dwindling has instead taken a reserve role with a team known for giving their testers track time at Grand Prix weekends. Hulkenberg is likely to run first practice at a number of races during the season and will hope to follow di Resta in graduating to a full-time race drive in 2012. 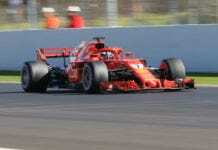 Previous articleWill Schumi be a force in 2011? Fancy owning an F1 car?